As readers will be aware, Teviot Row is alive with rumours that an ex-Edinburgh medical student is threatening to publish the diaries he kept during his undergraduate days in the "Swinging Sixties". His former colleagues, now distinguished medical men, are said to have offered large sums as "hush money" to "Doctor X", and several Edinburgh Publishing Houses have experienced burglaries and arson attacks, as well as telephone calls hinting at complications should the publisher ever need medical treatment. Undaunted, in what must be journalism's coup of the decade, Res Medica has secured exclusive rights to these manuscripts, and after consultation with our lawyers (who advise us that their authorship must remain a closely guarded secret) we now present the final instalment of the first extracts from The Drife Diaries. 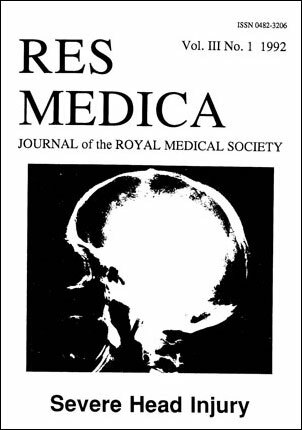 Previous issues available from the RMS office.